Decades ago I took notes, constructed a book, rewrote the book, and had a contract with a major publishing house. With the lucrative contract came a paragraph that required I change the ending of the book. I declined. With all the conceit of a young, inexperienced writer, I expected them to understand that I couldn’t possibly change the ending. After all, they were madly in love with the manuscript. They would publicize it as being the literary link between Catcher in the Rye and Fear of Flying. They were going to make my book famous – if the ending could be rewritten. But they weren’t going to budge about their resolve to have heterosexuality ride off into the sunset with the main character. Those were the times. But I didn’t want the times to reconstruct my book. The contract was torn up. The manuscript was tossed into a closet. I stayed out of the closet. For years, I would pick it up and play with it. A sadness would end up overwhelming me. And I returned it to a dusty shelf. 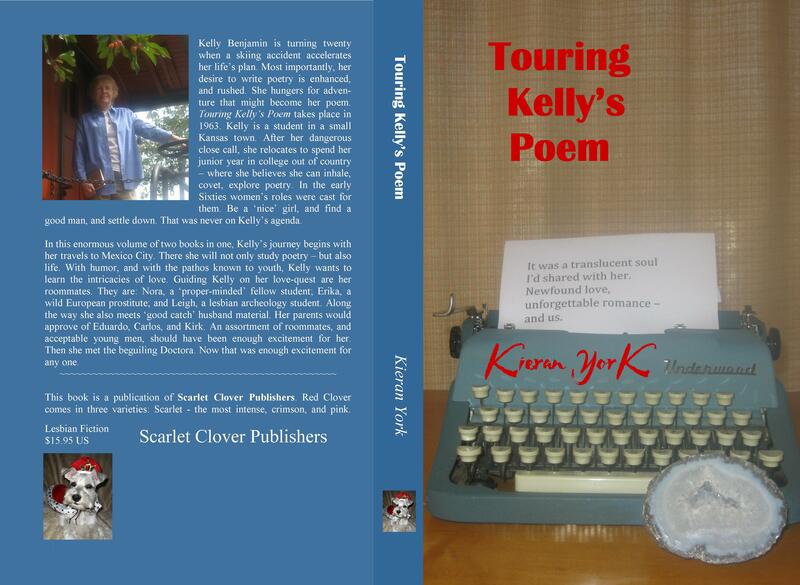 I’m sure Touring Kelly’s Poem became lonely packed away, forgotten, unread, unwanted. At one point I had attempted to shop it to the feminist press. The lesbian publishers weren’t interested – because the main character did what most women of that era did. She tried a man first. I wanted to be true to the times – and that’s what most women did during the early nineteen-sixties. Into a cardboard box, and out to the corner of a garage the manuscript went. I revitalized it from time to time. Then when the time was right – it was suddenly right. Scarlet Clover Publishers LLC was born. My previous publisher had gone out of business. And Scarlet Clover seemed like the answer. I’m certain that after three or four name changes, dozens of various cold storage homes, Touring Kelly’s Poem was tired. And undoubted felt defeated. With a chance to tell the story through a new, more accepting timeline, I retrieved the manuscript. A little CPR was needed to breathe new life into it. It was still alive, and breathing, and its heart only need a little shock. I prettied it up, polishing it, shining it, and preparing it for print. I’m still not certain if I fell back in love with it, or I never fell out of love with it. No matter, it’s alive and well. 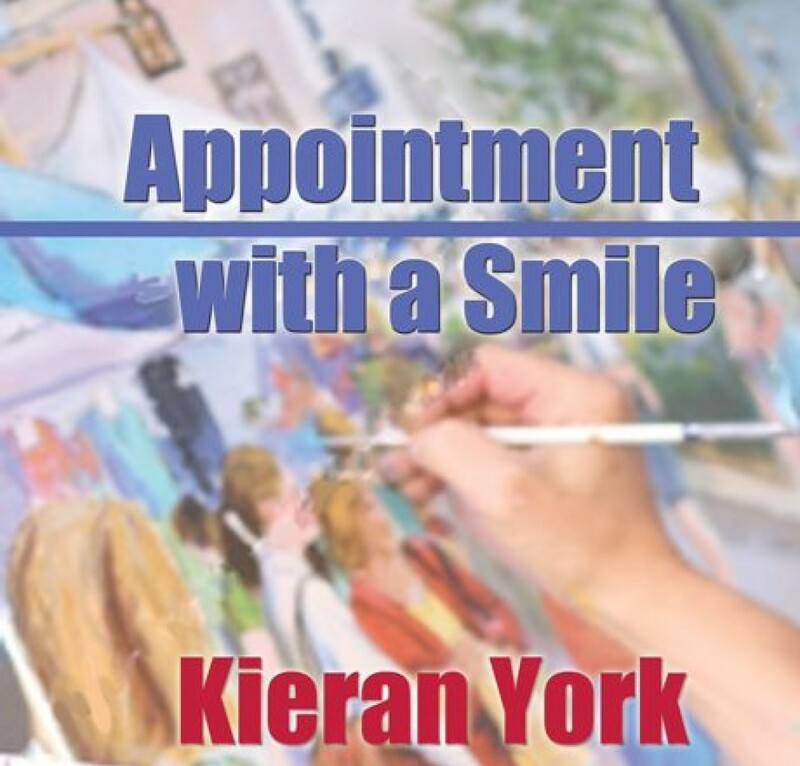 It has been released on Kindle, and will soon be available in print from Amazon. Born, reborn – I have no idea. It is the making of a poet. Allegorical, perhaps. When the book proof arrived at my front door, I opened it. I held it and yes, I cried. It deserved my tears – and my laughter. Touring Kelly’s Poem – Yep! Keep believing and good things happen. I love a happy ending. Yay, Touring Kelly’s Poem ! And Yay, Kieran York !! I simply can not wait to READ this book !!! Thank you, Poet! Sending love and hugs!